Here at 123SolarPower, we love teaming up with other passionate individuals and recently we were lucky enough to connect with Heather Earles A women of many talents, Heather authors her own blog centered on living a sustainable life, delicious recipes, home remedies and more! You can visit Heather's blog here. She was even kind enough to guest blog for us today, so please enjoy the post below. 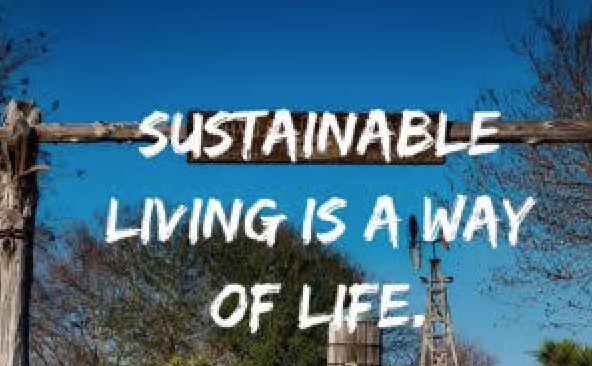 Sustainable living is not just a crazy person waiting for the end of the world. It is a way of life for some of us. We are simply trying to live as our ancestors did, providing food and shelter for our children that are not full of sprays, toxins hormones or other harmful things in them. The only difference between us and our ancestors is that people then didn't neither thought this was extraordinary nor out of the ordinary. There are so many benefits to living a sustainable lifestyle. For the children they learn to appreciate hard work, their food, having responsibilities, caring for something other than themselves and at the end of the day a feeling of accomplishment. For adults the benefits are a lot the same adding the fact that you know your children are eating pure foods, you are adding greatly to their character and your own and the bottom line knowing you can provide for your family without the local grocery store. When you live a sustainable lifestyle you are free from certain burdens and stress that come along with relying on something or someone else. Being able to provide for you and your family is one of the biggest stress issues we face. That stress trickles down to your children whether you realize it or not. They listen and observe everything we say and do. There are lots of different resources you can use to have a sustainable lifestyle solar being one of them. There is a definite benefit to using our greatest heat source which is the sun. Having solar for your farm or house can reduce or limit how much you rely on electricity. I use solar even to fence in the cows, but that's just me. I love this because it takes us back to using what we were given in the beginning. Use the Sun and wood to warm your house. Use the ground and trees to feed your family and use the work of doing it all to feed the soul. Sustainable living is not people being crazy it is people tending and respecting where they came from.